I think each of my re-visit to Pretz n' Beanz comes with 'new discoveries'. 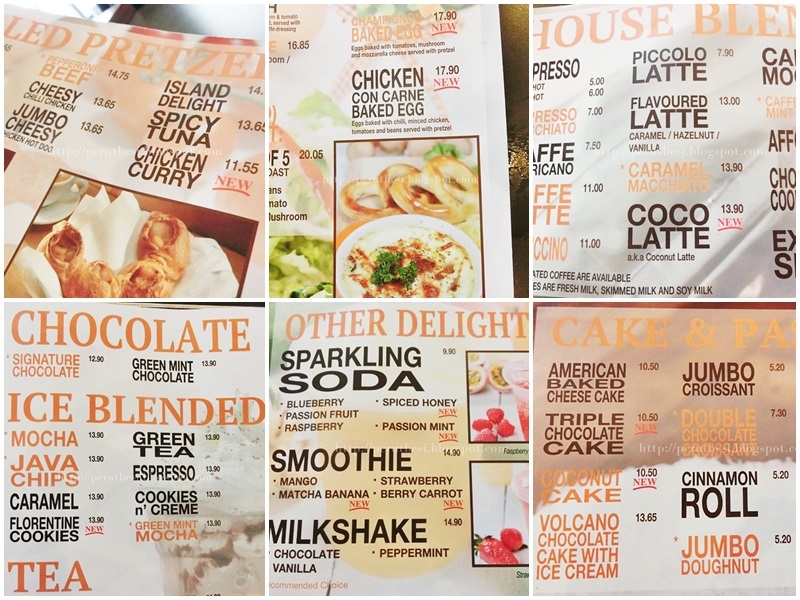 Since my last visit earlier this year with AP (I rarely go to Mutiara Damansara area these days cos of the traffic congestion), Pretz n' Beanz' has revamped their menu to feature some new dishes as well as keeping their best sellers/all-time-favorites. As the month of October is dedicated to breast cancer awareness, Pretz n' Beanz will be serving their special pink strawberry-vanilla drink & the rainbow sprinkles with pink glaze pretzel as their way of showing support for courageous breast cancer survivors across the globe. 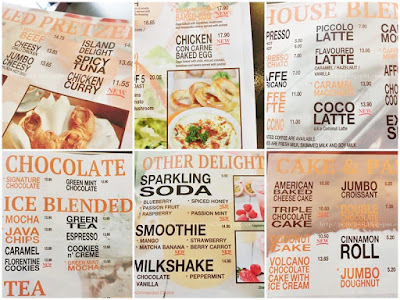 For this particular review session, we were introduced to some of the latest editions to their menu as well as to enjoy their best sellers once again. If you're familiar with Pretz n' Beanz, their pretzel pizza wouldn't be foreign to you. One of their most recent additions is the BBQ chicken pretzel pizza. It's slightly too sweet for my liking & lacks the smokey flavor, but those who fancy something different would enjoy this flavor of their pretzel pizza. My 1st time tasting baked eggs was in April this year in Sydney, Australia. Pretz n' Beanz version is slightly different as the one I had in Sydney was served piping hot on a hot plate, while this version is served in a pyrex dish (cools off a little too fast). Flavor-wise, it's actually quite rich & creamy as this flavor is alike a creamy-mushroom version of baked eggs. Mushroom-lovers will love this flavor as every spoonful comes with generous serving of mushrooms! Each set comes with 2 soft & chewy pretzels, a side of sour cream & fresh carrots + celery sticks. Somehow I can't connect the pretzels with this version of the baked eggs as it gets slightly cloying if 1 person finishes both pretzels since this flavor of baked eggs is creamy. If the baked eggs are more tomato-based, I think it'll be more appetizing & appealing (that's just my personal preference). Not every cafe offers cheesy baked rice. My only recollection of cheesy baked rice is at Kim Gary (probably serving Hong Kong version of cheesy baked rice?). This version at Pretz n' Beanz were flavorful, has Italian herbs & a slightly more western touch. It's slightly dry though, so the rice + cheese feels a little more jaw-exercise. This wasn't in their menu yet, but will be featured soon. The multi-grain buns is dug up & filled with a creamy chicken 'stew', topped with some fresh salsa-like salad to give the 'burger' a fresh twist. Quite a refreshing option if you're not into rice/noodles & don't mind buns but would prefer a less oily burger - this is for you! I would say that their pastas have been consistently simple & refreshing. If you're into strong flavors, this may not be for you, but if you fancy something light, I think you'll enjoy this dish. This is certainly most diners' favorite - a simple, classic pizza flavor that brings out the sweetness of pineapples & the tangy taste of tomato puree. Yums. This is an all-time favorite for chocolate lovers. I must say that it's one of the best that I've tasted! Business hours: Mon – Sun : 9:00a.m. – 10:00p.m. Business hours: Sun – Thurs: 7:30a.m. – 12:00a.m. ; Fri, Sat and PH Eve of holiday: 7:30a.m. – 1:--a.m.
Craving for the volcano chocolate cake now!